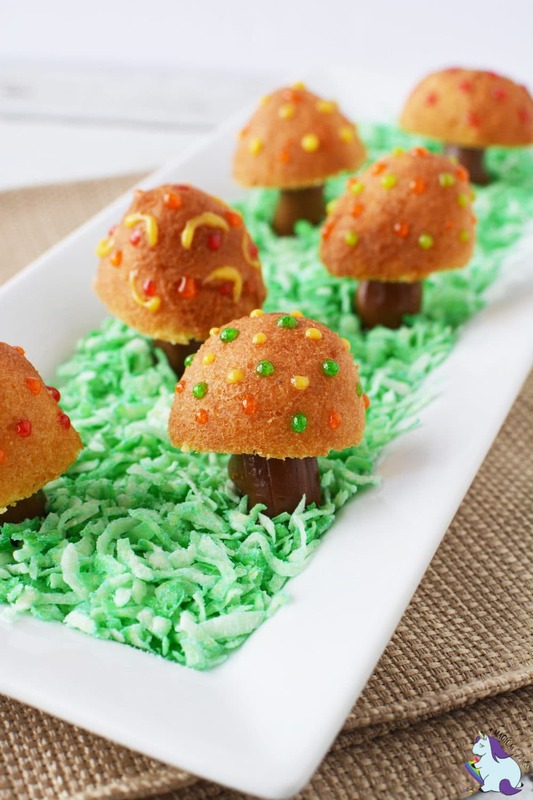 Perhaps Pinterest brought you to this fairy toadstool recipe post. Your usual Pin-for-later behavior–in which later means never, altered because this recipe actually looks doable. So, you clicked. If that’s the case, welcome and thank you for visiting! Your instincts have proven correct. This adorable recipe is super easy and can be ready in just 20 minutes! 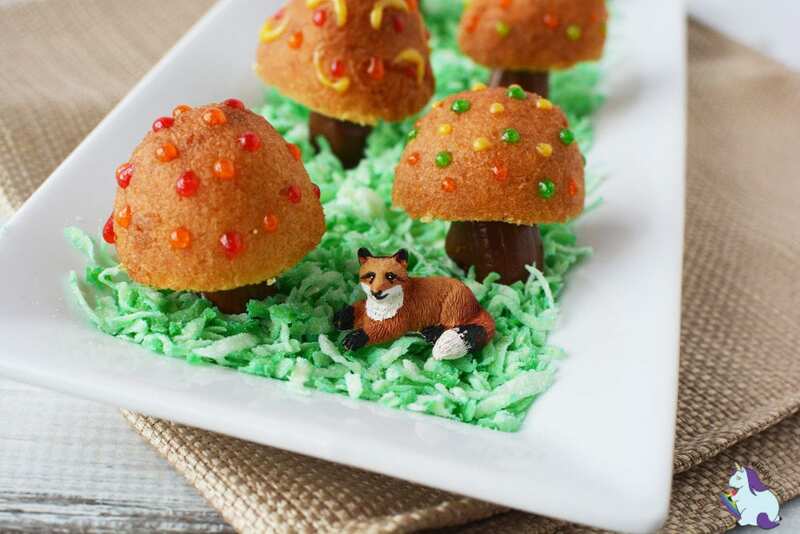 These whimsical little treats are sure to put a smile on even the grouchiest face. Whip them up for themed parties, showers, sleepover extravaganzas, or just as a surprise after school snack. You’ll want to serve them immediately because the donuts dry out relatively quickly. However, you could coat them in frosting to lock in the moisture. That step will add to your prep time and increase the sugar and calorie content but could be worth it depending on your needs. 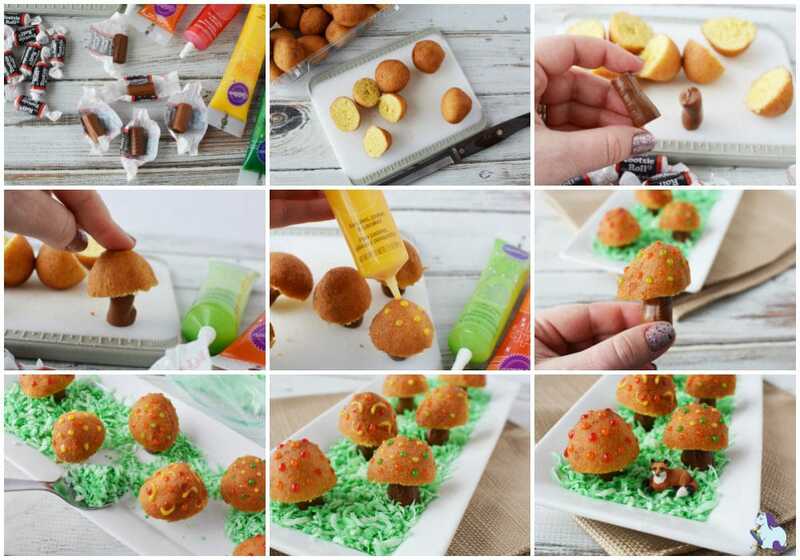 Experiment with different colored frostings, sprinkles, donut hole flavors, and edible glitters to create a magical grove of toadstools. Gnomes, fairies, and all woodland creatures are welcome at this party! 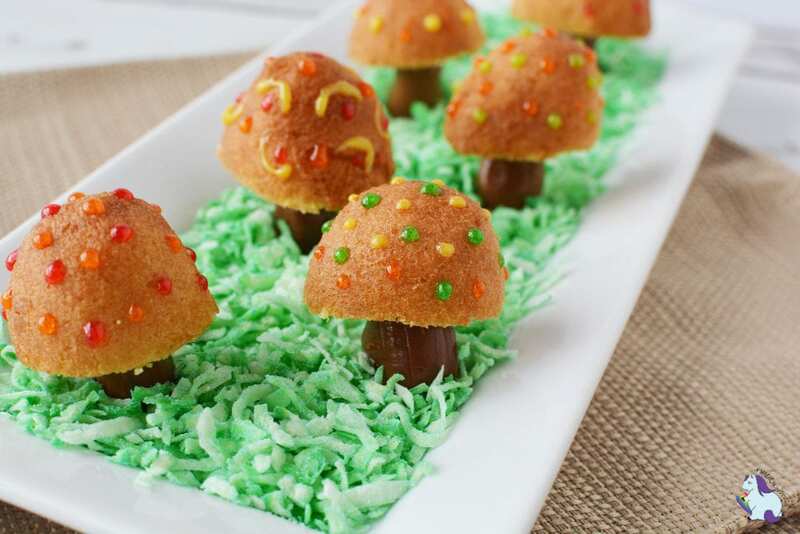 These fairy toadstool treats are super easy to make and are sure to please a crowd. Cut donut holes in half with a bread knife. Unwrap, but do not remove, Tootsie Rolls. Place 3 at a time in the microwave and microwave for 5 seconds. Discard wrappers and shape Tootsie Rolls into a mushroom stem. Set on a flat surface to harden. Gently press donut hole halves into each stem. 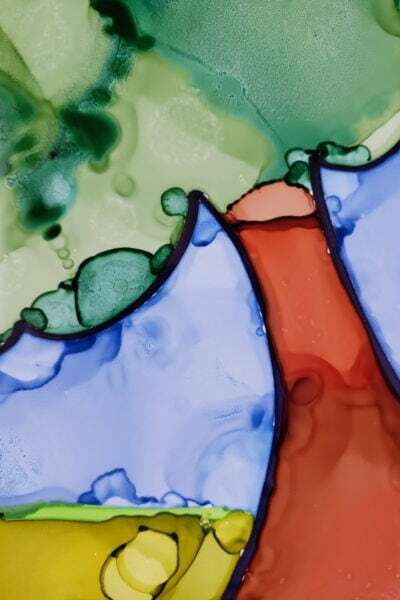 Decorate with color gels. TIP: The trick is to use a little color gel, not a lot, otherwise it will run down the donut. Place coconut into a resealable sandwich bag. Add 1 teaspoon of water to a small bowl. Add 4 drops green food coloring and mix well. Seal bag and knead until color is evenly distributed through coconut. Place toadstools onto a plate and add coconut grass/moss. Serve immediately. You’ll want to serve these pretty quickly as the donut holes will dry out. Please note that these nutrition facts are an estimate based on similar ingredients. To calculate this approximation, cupcakes were used in place of donut holes. For every donut hole, you’ll want two Tootsie Rolls. So, if you need 50 toadstools, get 25 donut holes and 50 Tootsie Rolls. Try using Tootsie Fruit Chews for the stems to add fruity flavors and rainbow colors to your yummy woodland display. Decorate gummy worms to look like caterpillars and stage them atop the toadstools for an Alice in Wonderland theme. Create a garden of chaos with these recipes for unicorn bark, unicorn crackers, and unicorn poop cookies. If you end up with an excess of donut holes, check out this recipe for unicorn donut holes! Go the Super Mario route and make these power-ups for the littles. Don’t forget the props. 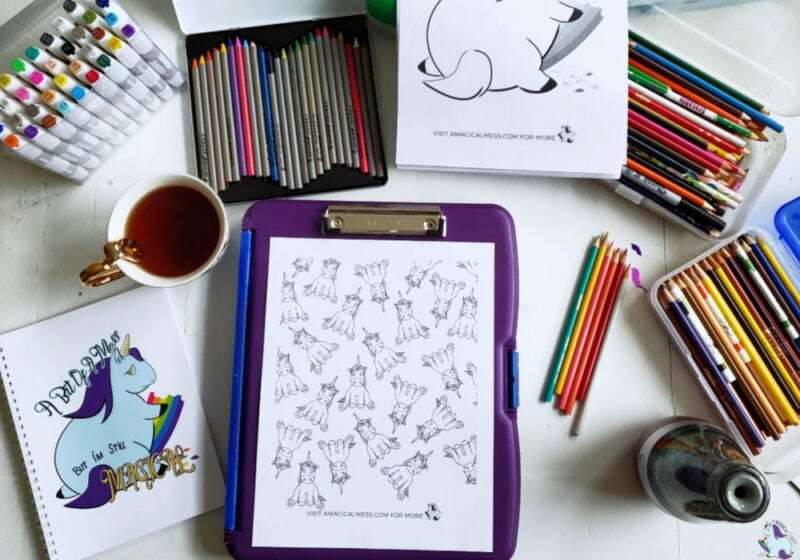 We love these fun trees, pretty fairies, unicorns, and yoga gnomes–yes, yoga gnomes. 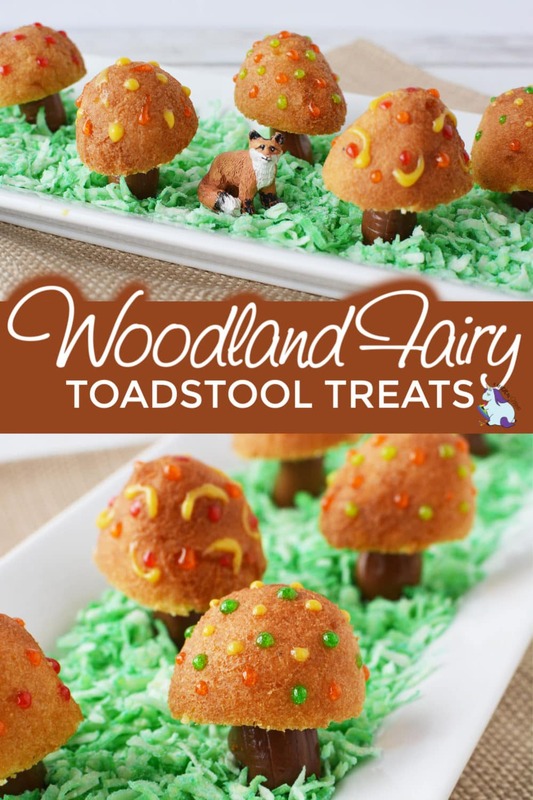 Make these fairy toadstools and let us know what you did to make them unique! We’d love to see them on Instagram, Facebook, or Twitter! Tag us! « Ladies, Let’s Talk. How Heavy Is Your Period? Thank you for sharing. These are too cute to eat. My grandkids would love them also. 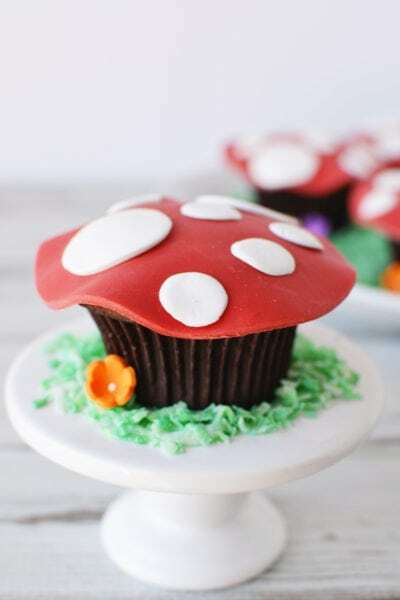 I’m loving the Woodland Fairy Toadstool recipe. These would make a nice surprise for my grandchildren. They will just love them. These are adorable. I just might make them for my coworkers. 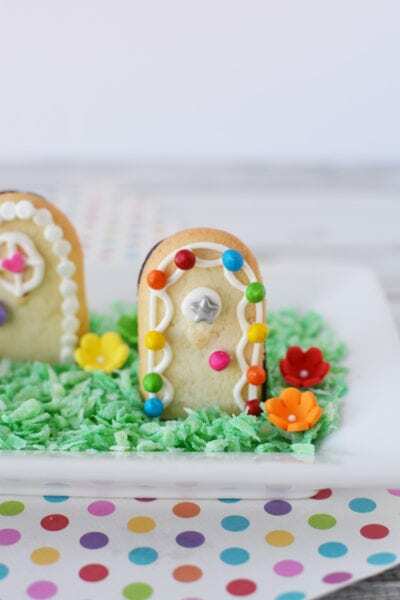 These are so adorable and I know the kids would enjoy helping to make and to eat these. Congrats to you and your daughter! That’s sounds so fun and cute! Let us know if you make these! These are so cute but I odn’t think I have the finesse to make them! 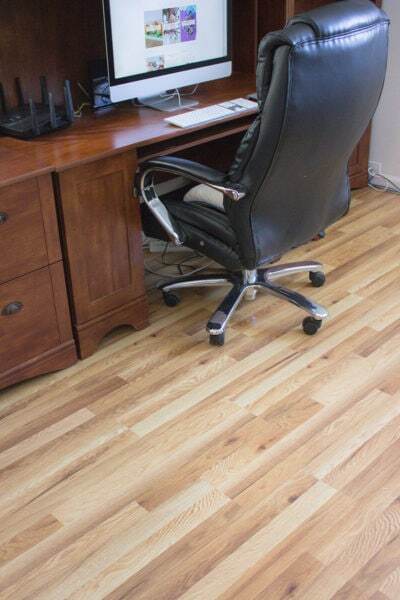 You make them look so pretty and professional! Not much finesse is required! LOL They really are simple and easy! You have such wonderful ideas for foods. Not only do they sound delicious, but they also are so creative. This is such a cute idea. I love it. I’m going to make it for Easter. This looks awesome and would be fun to make with my kids! 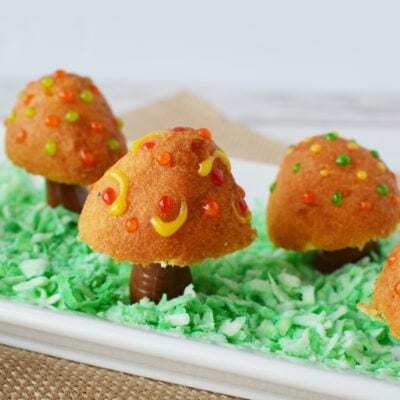 I’m really loving these Woodland Fairy Toadstool, they are almost too cute to eat! My kids would like them too and they they could totally help make them too, thanks for sharing. I wish I was creative- these are are cute. 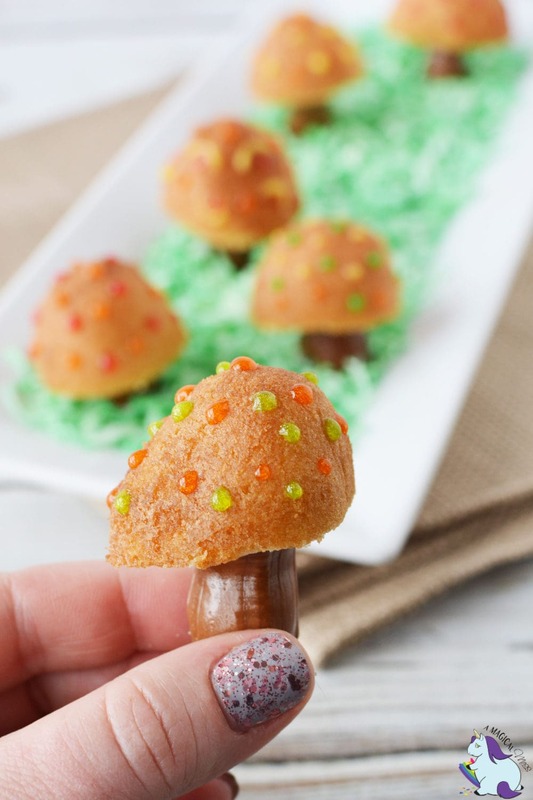 Fairy Toadstool Treats seem like so much fun to make. I know my niece would enjoy making these with me and trying them. Cute idea! Glad I found you and your creative ideas. The Easter cupcakes hope to be on my menu. Thanks for this delicious recipe. 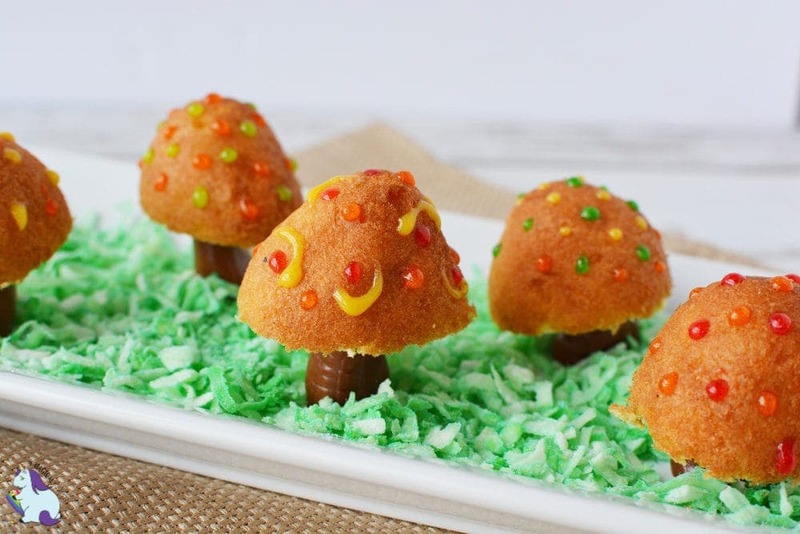 My kids would love to make these magical treats. I never would have thought to make these! Looks like fun and a cool party idea. 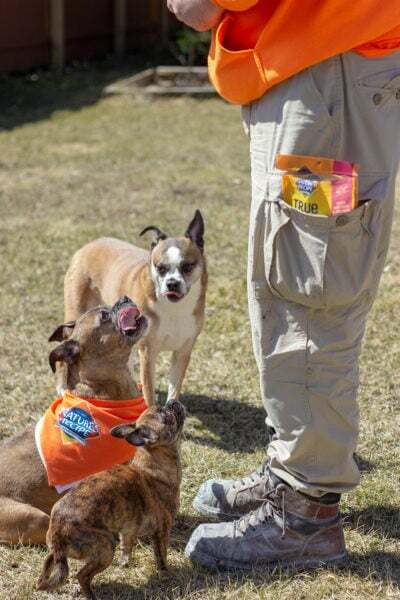 These treats are so unique and fun! I think this would be really cute for a party. I love your nail polish too! Thank you for the super cute ideas, I can’t wait to try them out! These look like so much fun! I think the kiddos would really enjoy them for our fairy party! I love this recipe. The Fairy Toadstools would be great for a school party. This recipe looks very cute and tasty. Thanks for sharing!